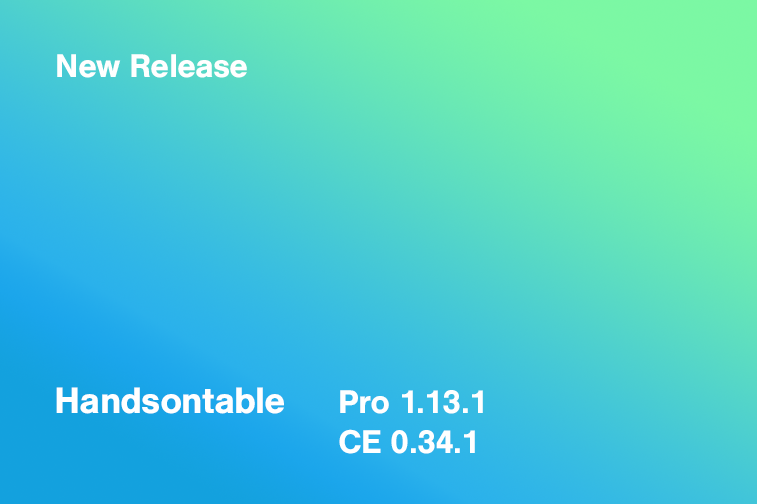 We are happy to announce that Handsontable Pro 1.13.1 (Community Edition 0.34.1) is now released. In this version we have fixed a few minor issues related with the Filters plugin. Fixed a problem with the Filters plugin improperly trimming the table rows. Updated documentation for the Trim Rows plugin. Fixed a problem with the Filters plugin dropdown components not updating properly.